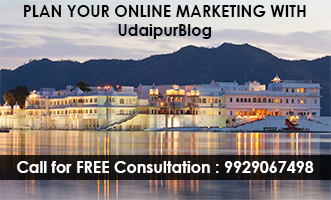 The Old City of Udaipur is that area of the City which every Udaipurite is crazy about. And trust me, it’s absolutely worth it. Be it culture, traditions, temples, or versatile shops, one can find literally everything here. Now that we are talking about shopping, we picked one thing that is most liked and bought by the people here which is the jewelry. To all the jewelry lovers in the city, this article is completely made for you. Unlike ordinary gold and diamond jewelry, the jewelry available here is modern jewelry which includes many intricate designs made out of oxidized metals and oxidized silver. Jewelry is something which defines who you are. And if you choose to be a hipster then Old City is just the place for your shopping spree this weekend. We went out in the city to look for ourselves what is it actually that people are going crazy about and the things we saw stunned us. 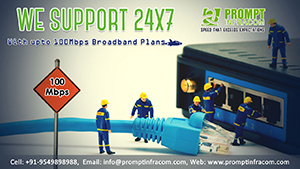 Watch the video below to know more. The entire alley starting from Ghanta Ghar at Sindhi Bazaar to Jagdish Temple. This alley cover shops of all kinds of imitation jewelry, silver jewelry and tribal jewelry of black metal. These modern pieces of jewelry will appeal your eyes with its unique and cool designs. I am sure your heart would yearn to buy literally everything but for a start you can put your hands on large jhumkas, designer nose pins and nose rings, Oxidised Kade and bangles, anklets, kamarbandh, pendants, neck pieces, rings, silver wallets and sling bags for girls and the list doesn’t end yet because guys they have something for you too. There has been an increased demand for jewelry for boys and they have an ample amount for them. There are several designs for boys in Ear studs, rings, pendants, chains, nose pins, bracelets, and whatever you like. It would be best if you go in the morning at 11:00 am. However, if you are planning to go in the evening note that the maximum number of shops close by 7:00 pm. Although the prices are minimal, you can always try your hand at bargaining. It will surely save you a few bucks. If you are planning for a day out then you can wander around these places which happens to be in your way. You can complete your shopping in the morning and visit Jagdish temple is situated at the end of the jewelry alley. Further, if you are interested in handicrafts and clothes, you can continue walking on this alley which ends at City Palace. Go have a look at this amazing museum. You might click some amazing pictures in this palace as well. Now since you would be exhausted by then you might want to refresh yourself and have a wonderful meal at a cozy restaurant inside City Palace – Palki Khana. At the end of the day, get ready to have the funky look with all the modern jewelry that you’ve bought and do not dwell over your empty pockets because it’s all worth it.